Li-Heng Pao is working as a Professor of Graduate Institute of Health Industry Technology at Chang Gung University of Science and Technology, Taiwan. He is also the Director of Research Center of Food and Cosmetic Safety at the same University. He has completed his Doctorate in Pharmaceutical at the University of Michigan (USA) in 1997. 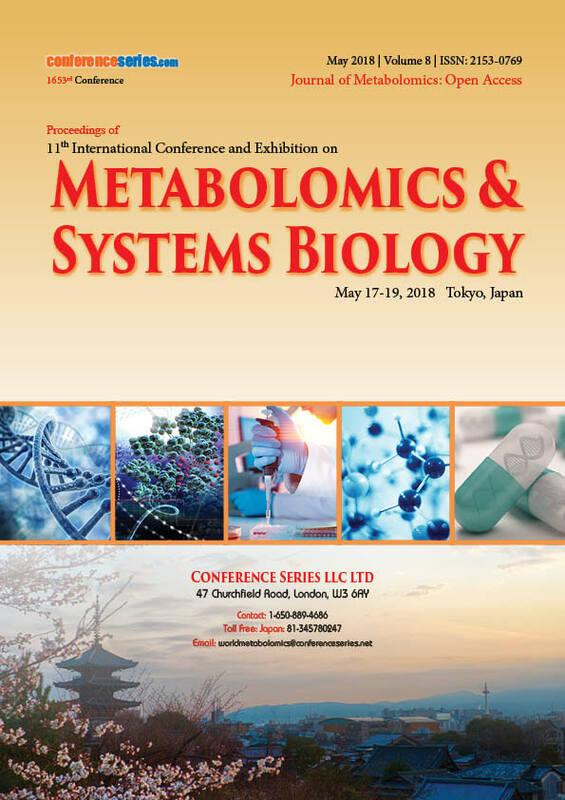 He has Directed one of his researches to bioanalysis of drug with mass spectrometry that applied mainly to pharmaco-kinetics as well as herbal-drug interactions in human and animal study. 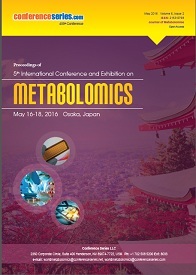 His current research is on applying the mass spectrometry and NMR in metabolomics study on the effects of herbal drug in metabolic diseases. Chia-Jui Weng has completed his PhD at the Department of Food Science and Biotechnology, National Chung Hsing University, Taichung, Taiwan in 2008. He was the Lead Guest Editor of BioMed Research International and Guest Editor of Evidence-Based Complementary and Alternative Medicine (eCAM) Journal. He is also the Editorial Board Member of Journal of Turgut Ozal Medical Center, Journal of Tumor and Journal of Hepatocellular Carcinoma. Oral cancer is causally associated with environmental carcinogens and the susceptibility to carcinogen-mediated tumorigenesis is proposed to be genotype-dependent. Leptin (LEP) and Leptin Receptor (LEPR) both play a crucial role in the mediation of physiological reactions and carcinogenesis and may serve as a candidate biomarker of oral cancer. The present case-control study aimed to examine the effects of LEP-2548 G/A (rs7799039), LEPR K109R (rs1137100) and LEPR Q223R (rs1137101) SNPs with or without interacting to environmental carcinogens on the risk for OSCC. The SNPs of three genetic allele from 567 patients with oral cancer and 560 healthy controls in Taiwan were analyzed. All of the three genetic polymorphisms exhibited insignificant (P>0.05) effects on the risk to have oral cancer. However, the patients with polymorphic allele of LEP-2548 have a significant low risk for the development of clinical stage (A/G, AOR=0.670, 95% CI=0.454-0.988, P<0.05; A/G+G/G, AOR=0.676, 95% CI=0.467-0.978, P<0.05) compared to patients with ancestral homozygous A/A genotype. Additionally, an interesting result was found that the impact of LEP-2548 G/A SNP on oral carcinogenesis in subjects without tobacco consumption (A/G, AOR=2.078, 95% CI: 1.161-3.720, p=0.014; A/G+G/G, AOR=2.002, 95% CI: 1.143-3.505, p=0.015) is higher than subjects with tobacco consumption. These results suggest that the genetic polymorphism of LEP-2548 G/A (rs7799039), LEPR K109R (rs1137100) and LEPR Q223R (rs1137101) were not associated to the susceptibility of oral cancer, SNP in LEP-2548 G/A showed a poor clinico-pathological development of oral cancer. Population without tobacco consumption and with polymorphic LEP-2548 G/A gene may significantly increase the risk to have oral cancer. Jiang Xu completed his PhD from China Agricultural University (CAU) and postdoctoral studies from National Institute of Biological Sciences (NIBS) in Beijing. He works as a research professor now at the Institute of Crop Science, Chinese Academy of Agricultural Sciences (CAAS). He has published more than 40 papers in reputed journals. It was investigated that net photosynthetic rate (Pn) and photosynthate accumulation of maize Zhengdan 958 (ZD958) and their responses to light changes in three different areas of China, Qitai in Xinjiang, Yongning in Ningxia and Gongzhuling in Jilin province. The results as follows, A. With the increase of population density, Photo flux density (PFD) in canopy of ZD958 decreased at silking and grain filling stages, and the Pn of ear leaf also reduced correspondingly. B. Comparing the Pn of ear leaves of different areas with equal population density, it appears that maize Pn has the same trend as the PFD in different areas, that is, Qitai > Yinchuan > Gongzhuling, at silking and grain filling stages. C. The activities of sucrose phosphate synthase (SPS) in ear leaf, sucrose synthase (SS) and adenosine diphosphate glucose pyrophosphorylase (AGPase) in kernel, and the contents of sucrose and starch in kernel all appear the same trend as the Pn among the same population density of different areas at silking and grain filling stages, that is, Qitai > Yinchuan > Gongzhuling. so we infer that light intensity is the determining factor of photosynthetic rate, and temperature, which is relevant to sunlight, also affect the dark reaction of photosynthesis. In summary, the strongest sunlight in Qitai is most conducive to maize photosynthesis and yield formation, followed by light condition of Yinchuan, and the weakest sunlight in Gongzhuling are the limiting factor of maize yield promotion. 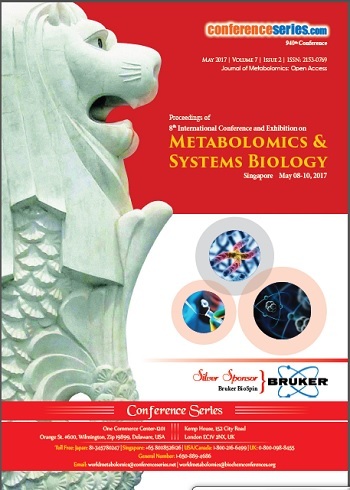 Systematic proteomics and metabolomics studies are being conducted on the carbon metabolism of maize leaves and kernels. She is working in Chinese Academy of Agricultural Sciences, China. Leaf color mutants are ideal materials for chloroplast development and photosynthetic mechanism research. Here, we characterized an EMS (Ethyl Methane Sulfonate)-mutagenized sorghum (Sorghum bicolor) mutant, sbe6-a1, in which the severe disruption in chloroplast structure and a chlorophyll deficiency promote an albino leaf phenotype and lead to premature death. The proteomic analyses of the sbe6-a1 mutant and its progenitor Wild-Type (WT) were performed using a Q Exactive plus Orbitrap mass spectrometer. From three technical repetitions of two biological replicates, 5,367 protein groups were qualitatively identified and 4,233 protein groups were accurately quantitated, including 580 up- and 516 down-regulated groups in the sbe6-a1 mutant compared with the WT. 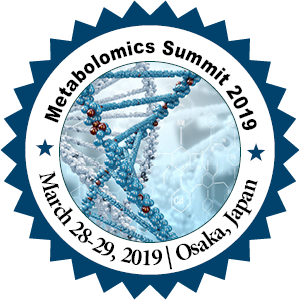 Gene ontology analyses showed that up-regulated Differentially Abundant Proteins (DAPs) were significantly enriched in catabolic process, located in mitochondria, down regulated DAPs were located in chloroplasts and participated in photosynthesis and some other processes. 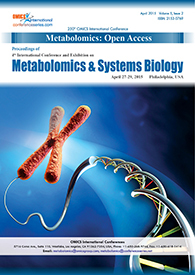 KEGG (Kyoto Encyclopedia of Genes and Genomes pathway-enrichment) analyses indicated that the degradation and metabolic pathways of fatty acids and some aminoacids and secondary metabolites, were significantly enhanced, while photosynthesis-related pathways and some secondary metabolites’ biosynthesis and ribosomal pathways were significantly inhibited in sbe6-a1, indicating that the differences in protein relative abundances between sbe6-a1 and WT were associated with diverse biological processes and multiple genetic pathways. Parallel reaction monitoring (PRM) and qRT-PCR analysis validated that some protein abundance and coding-gene expression levels related to chloroplast development and photosynthesis were consistently decreased in sbe6-a1. Our analysis will promote the understanding of the molecular phenomena that result in plant albino phenotypes.